The F-35 Lightning II is so stealthy, pilots are facing an unusual challenge. They're having difficulty participating in some types of training exercises, a squadron commander told reporters Wednesday. During a recent exercise at Mountain Home Air Force Base, Idaho, F-35 squadrons wanted to practice evading surface-to-air threats. There was just one problem: No one on the ground could track the plane. "If they never saw us, they couldn't target us," said Lt. Col. George Watkins, the commander of the 34th Fighter Squadron at Hill Air Force Base, Utah. The F-35s resorted to flipping on their transponders, used for FAA identification, so that simulated anti-air weapons could track the planes, Watkins said. "We basically told them where we were at and said, 'Hey, try to shoot at us,' " he said, adding that without the transponders on, "most likely we would not have suffered a single loss from any SAM threats while we were training at Mountain Home." Watkins said he can take four F-35s and "be everywhere and nowhere at the same time because we can cover so much ground with our sensors, so much ground and so much airspace. And the F-15s or F-16s, or whoever is simulating an adversary or red air threat, they have no idea where we're at and they can't see us and they can't target us." "That's a pretty awesome feeling when you're going out to train for combat," Watkins concluded, "to know that your pilots are in an unfair fight." The pilots and crews at Hill have been putting the new fifth-generation fighter through its paces, in preparation for top Air Force brass declaring the plane operationally ready — a move expected within dayssometime between August and December. The Air Force’s variant of the F-35 will make its first appearance at the famous Red Flag training exercise at Nellis Air Force Base, Nevada, in January 2017, Watkins told Air Force Times. 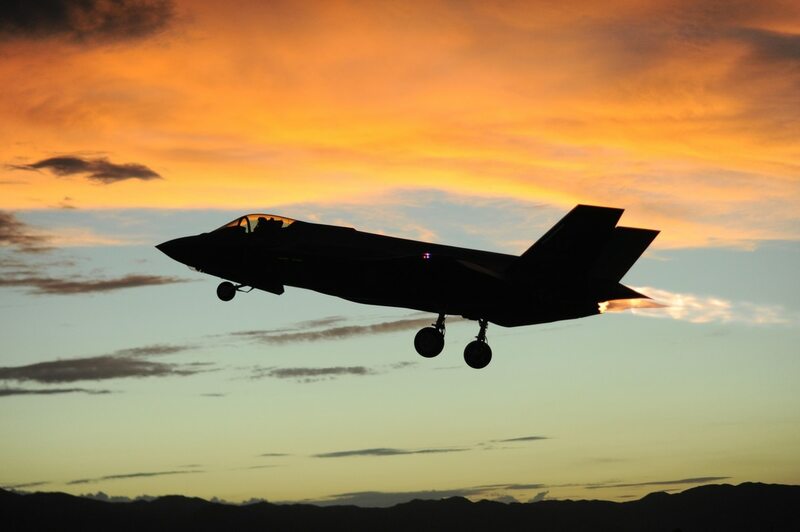 Marine Corps F-35Bs have already reached initial operating capabilityIOC and participated in the exercise this year. Lt. Col. Steven Anderson, the 388th Maintenance Group deputy commander, said all the boxes have been checked for Hill F-35s to reach IOC initial operating capability, and that the base will be ready to send six-ship packages of the aircraft wherever they’re needed in the world. "For most of us, this is a once in a lifetime opportunity to bed down a new weapon set and make it employable and bring this capability for the defense of our nation," Anderson said. "Everyone from the youngest airmen on up through our wing commanders is totally invested in this program. We are all excited and very motivated for what we've accomplished over the last year and what we're going to accomplish in the future." Hill now has 21 pilots ready to fly, with another three going through final certification training now, Anderson said. Some 222 maintainers are also ready, with another 150 in training, along with any needed space parts. The base has 15 F-35s now, with a 16th scheduled to be delivered in late August. Eventually, the base is looking to set up three full squadrons with a total of 72 aircraft by 2019. Anderson said the base isn't expecting any problems with getting enough maintainers or pilots to operate the planes. "We don't see any shortfalls in our maintenance and pilots right now," he said. "We can project up to 18 months out to see where our pilots and maintainers are coming from, and we will have enough to stand up this unit. IOC, for us, it's just getting us out of the starting gate."